Instead of designing multiple similar visualizations of multiple field technology that differentiates only in operational parameters and not in appearance, you can use one master view that is common for all. You can set and use operational parameters to link the views with specific pieces of technology. To create a Parametric View, click on the views in the Project tree and then click on the New Window icon in the main toolbar. 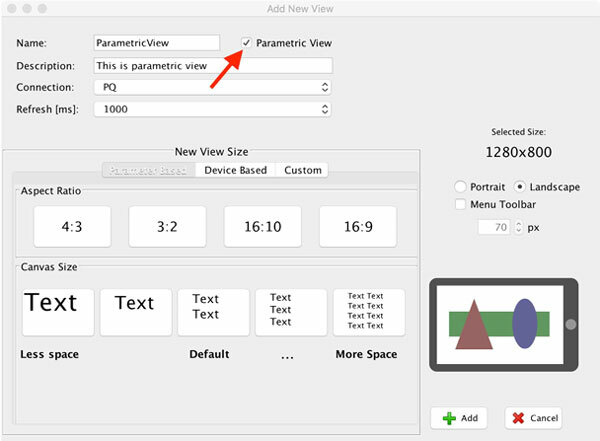 Then, when naming the view, check the “Parametric” check box. Click the “Add” button. Now your view is created. Once you have created your view, you can use symbolic access instead of absolute addresses.